All recordings on this page are by Louis Jordan and his Tympany Five unless otherwise noted. In Soundies and short films showcasing the band released during the years 1942-1945, as well as in the performance of “Deacon Jones” in the 1944 feature film Meet Miss Bobby Sox, there are always five members in the band shown performing the song, including Jordan. 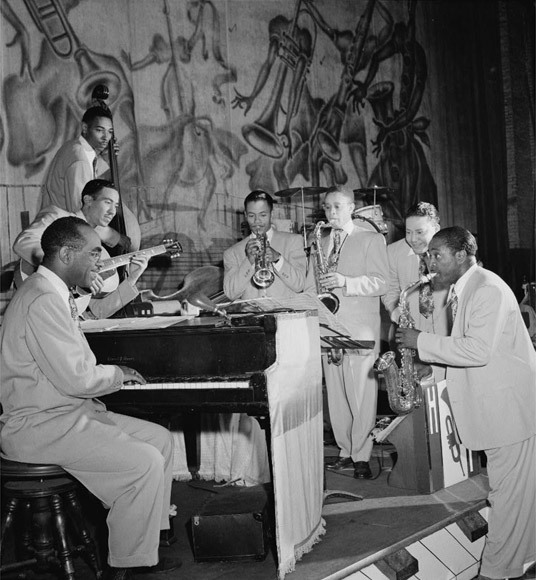 However, in the 1946 feature film Beware (see photo directly above) the band seen performing “Beware, Brother, Beware,” and “Salt Pork, West Virginia” has seven members, Jordan plus six others, while the band credited as Louis Jordan and his Tympany Five (at IMDB and Wikipedia) in the 1947 film Reet, Petite, and Gone features Jordan and five other members (no second saxophonist). 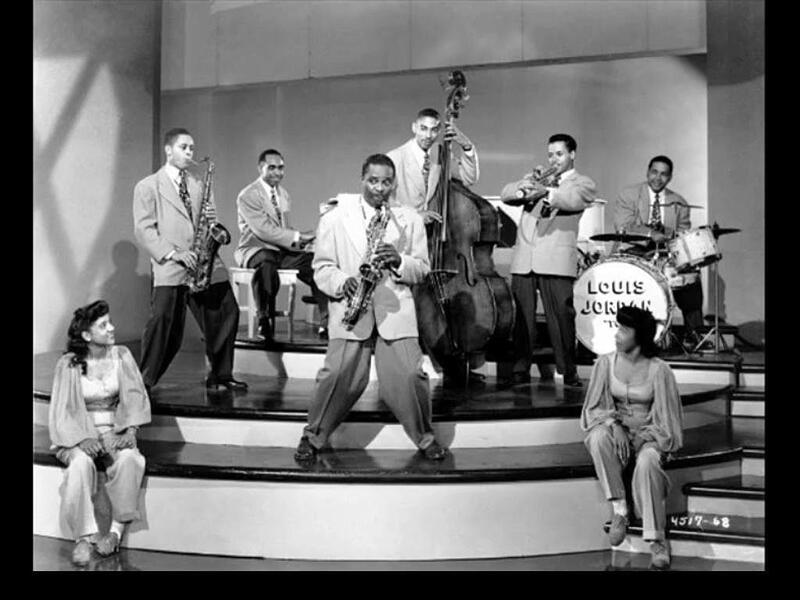 In the photo at right — where I’m guessing the drummer stands between Jordan and the other saxophone player — and in the one below, with the band name Louis Jordan “T6” on the bass drumhead, in each case the band includes Jordan plus six other musicians. 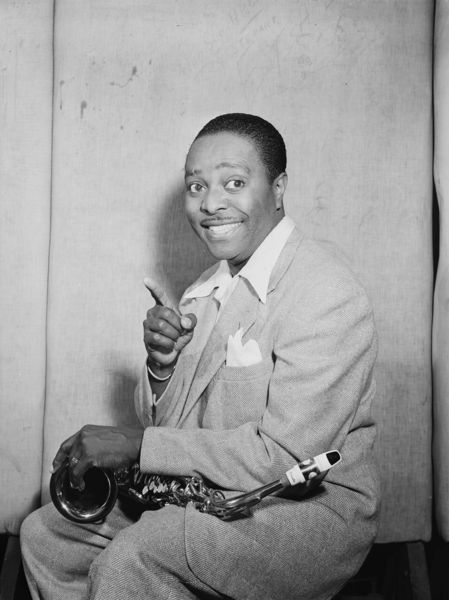 According to the Louis Jordan Biography at musicianguide.com, the recording charted in January 1942. Second Hand Songs lists only one previous recording, by Casey Bill Weldon, in 1936. Down, Down, Down (songwriter credits: unknown) was one of the earliest of the 17 Soundies made by Louis Jordan & His Tympany Five, dated 31 December 1942 at LouisJordan.com (one of four with the same date). What’s the Use of Gettin’ Sober (When You’re Gonna Get Drunk Again) (Bubsey Meyers) — recorded on 21 July 1942, and issued on Decca 8645, b/w “The Chicks I Pick are Slender, Tender and Tall.” It was released in November 1942, according to the Louis Jordan discography at markbarrydiscographies.blogspot.com. The Louis Jordan charting singles discography at Wikipedia indicates that Decca 8645 A was Jordan’s first #1 hit on the R&B chart, then known as the Harlem Hit Parade. Sessions in July 1942 produced nine prime sides, allowing Decca to stockpile Jordan’s recordings as a hedge against the American Federation of Musicians’ recording ban, which was declared the same month. The ban — imposed in order to secure royalty payments for union musicians for each record sold — led to Jordan’s enforced absence from the studio for the next year, and it also prevented many seminal bebop performers from recording during one of the most crucial years of the genre’s history. “I’m Gonna Leave You on the Outskirts of Town” was an “answer record” to Jordan’s earlier “I’m Gonna Move to the Outskirts of Town”, but it became Jordan’s first major chart hit, reaching #2 on Billboard’s Harlem Hit Parade. His next side, “What’s The Use of Gettin’ Sober (When You’re Gonna Get Drunk Again)”, became Jordan’s first #1 hit, reaching the top of the Harlem Hit Parade in December 1942. A subsequent side, “The Chicks I Pick Are Slender, Tender and Fine”, reached #10 in January 1943. Their next major side, the comical call-and response number “Five Guys Named Moe”, was one of the first recordings to solidify the fast-paced, swinging R&B style that became the Jordan trademark and it struck a chord with audiences, reaching #3 on the race charts in September 1943. The song was later taken as the title of a long-running stage show that paid tribute to Jordan and his music. 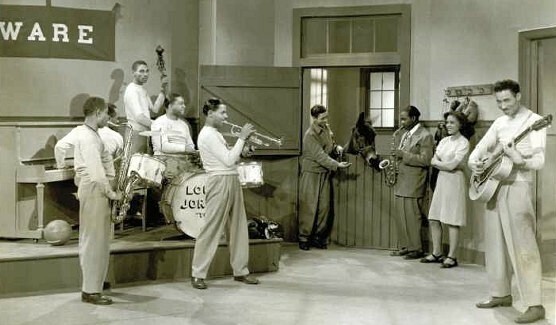 Louis Jordan and his Tympany Five — recorded on 15 March 1944 and issued on Decca 8659, b/w “Is You Is or Is You Ain’t My Baby” — The Louis Jordan and the Tympany Five recording of “G. I. Jive” topped the Billboard R&B singles chart for several weeks in July and August 1944. A recording by Johnny Mercer with Paul Weston and his Orchestra had topped the chart for one week in January of the same year. Deacon Jones (Johnny Lange, Hy Heath and Richard Loring) — The songwriter credits are from IMDb, but the character and a song of this title evidently have a long tradition. Here’s a relevant thread at the folk music forum The Mudcat Cafe: Lyr Req: Deacon Jones. Caldonia (Fleecie Moore*) – from a 1945 short film of the same title, directed by William Forest Crouch, which included three other songs Honey Child, Tillie and Buzz Me. 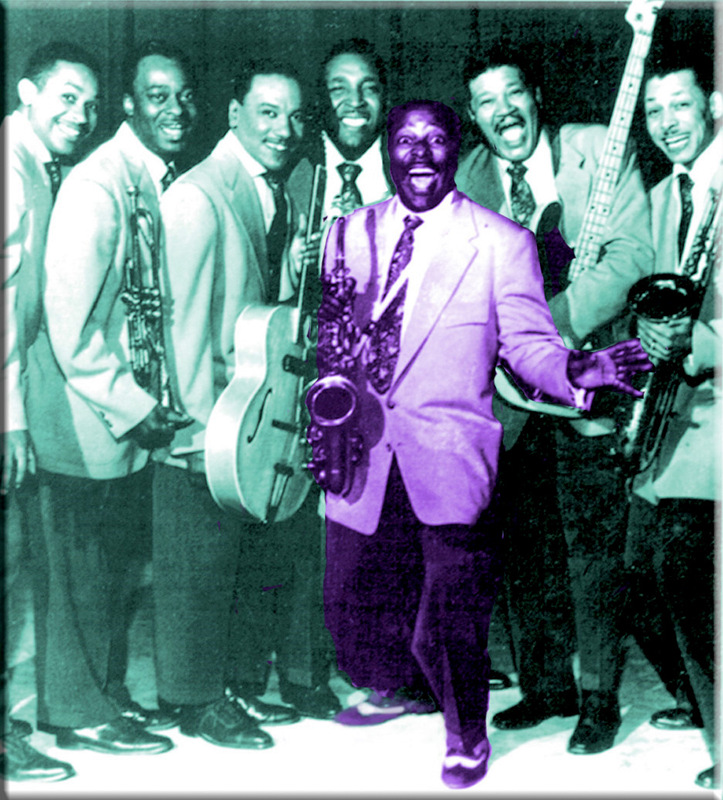 “Choo Choo Ch’ Boogie”…was first recorded in January 1946 by Louis Jordan & His Tympany Five. It topped the R&B charts for 18 weeks from August 1946, a record only equalled by one other hit, “The Honeydripper”. The record was one of Jordan’s biggest ever hits with both black and white audiences, peaking at number seven on the national chart and provided an important link between blues and country music, foreshadowing the development of “rock and roll” a few years later. Although “Choo Choo Ch’Boogie” is now seen as epitomising the style known as jump blues, it was written by white songwriters whose background was in country and western music. The song is credited to Darling, Horton and Gabler. Denver Darling (1909-1981) was a hillbilly guitarist and songwriter, as was his occasional songwriting partner Vaughn Horton (1911-1988). Horton’s first writing success was with “Mockin’ Bird Hill”, and as well as working with Darling on such songs as “Address Unknown”, a 1939 hit for The Ink Spots, also worked with Gene Autry. His other writing successes included “Dixie Cannonball” and “Muleskinner’s Blues”. The third credited songwriter was Milt Gabler (1911-2001), then the vice-president of Decca Records and Louis Jordan’s record producer. A few years later, still at Decca, Gabler was also responsible for producing Bill Haley’s epoch-defining “Rock Around The Clock” (and Haley, in turn, recorded a version of “Choo Choo Ch’Boogie” for his album, Rock ‘n’ Roll Stage Show. From the film Look Out Sister, dated 1947 at IMDb (where the title reads “Look-Out Sister,” probably quoting a poster) but 1946 at LouisJordan.com. Jordan made three feature films Beware (1946), Reet, Petite & Gone (1947) and Look Out Sister (1947). I haven’t looked for the first and third of these yet. Because the songs in the films were isolated scenes they have been extracted and are available as single videos or in collected works (see the Wild Realm Reviews link, above, for details). 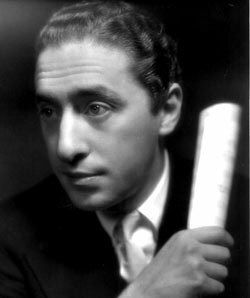 He also made numerous Soundies, film shorts featuring individual songs. Soundies were an early version of the music video: three-minute musical films, produced in New York, Chicago, and Hollywood between 1940 and 1946, often including short dance sequences. (The completed Soundies were generally released within a few months of their filming; the last group was released in March, 1947.) The films were displayed on the Panoram, a coin-operated film jukebox or machine music, in nightclubs, bars, restaurants, factory lounges, and amusement centers. Our basic information comes from Tom Lord’s Jazz Discography…Lord also opines that The Calypso Boys are actually Aaron Izenhall and Eddie Johnson. (above) The Tympany Five evidently became the Tympany Six, or “T6,” for awhile at some point. In 1951 Jordan put together a big band but returned to the Tympany Five format within a year. 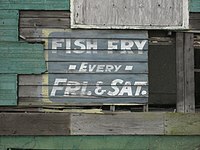 Saturday Night Fish Fry — See the special feature, with lyrics, at the bottom of this page. Blue Light Boogie (Parts 1&2) – written by Jessie Mae Robinson. The recording by Louis Jordan and His Tympany Five reached the #1 spot on the Billboard R&B chart, and remained there for seven weeks in September and October 1950. Effervescent saxophonist Louis Jordan was one of the chief architects and prime progenitors of the R&B idiom. His pioneering use of jumping shuffle rhythms in a small combo context was copied far and wide during the 1940s. Jordan’s sensational hit-laden run with Decca Records contained a raft of seminal performances, featuring inevitably infectious backing by his band, the Tympany Five, and Jordan’s own searing alto sax and street corner jive-loaded sense of humor. 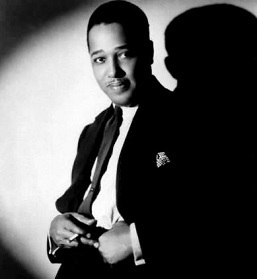 Jordan was one of the first black entertainers to sell appreciably in the pop sector; his Decca duet mates included Bing Crosby, Louis Armstrong, and Ella Fitzgerald. The son of a musician, Jordan spent time as a youth with the Rabbit Foot Minstrels and majored in music later on at Arkansas Baptist College. After moving with his family to Philadelphia in 1932, Jordan hooked up with pianist Clarence Williams. He joined the orchestra of drummer Chick Webb in 1936 and remained there until 1938. Having polished up his singing abilities with Webb’s outfit, Jordan was ready to strike out on his own. The saxist’s first 78 for Decca in 1938, “Honey in the Bee Ball,” billed his combo as the Elks Rendezvous Band (after the Harlem nightspot that he frequently played at). From 1939 on, though, Jordan fronted the Tympany Five, a sturdy little aggregation often expanding over quintet status that featured some well-known musicians over the years: pianists Wild Bill Davis and Bill Doggett, guitarists Carl Hogan and Bill Jennings, bassist Dallas Bartley, and drummer Chris Columbus all passed through the ranks. Saturday Night Fish Fry was a big hit for Louis Jordan & His Typany Five, topping the R&B chart for 12 weeks in late 1949. It also reached #21 on the national chart, a rare accomplishment for a “race record” at that time (although the very popular Jordan had already hadearlier crossover hits). Jordan’s jump blues combo was one of the most successful acts of its time, and its loose and streamlined style of play was highly influential. However, Jordan also reconfigured the song, taking a refrain that had been intermittent in Wiliams’ version– “And it was rockin’, it was rocking, you never seen such scuffling and shuffling ’til the break of dawn”– and refocusing it as the recording’s hook, singing it twice after every other verse. The Jordan band also dropped the shuffling rhythm of the Eddie Williams original, accelerating the pace into a raucous, rowdy jump boogie-woogie arrangement. *** Though ASCAP’s ACE catalog and most other information sites credit only Jordan and Walsh (Ellis Lawrence), Heptunes gives the songwriting credits as Louis Jordan, Ellis Walsh and Al Carters. 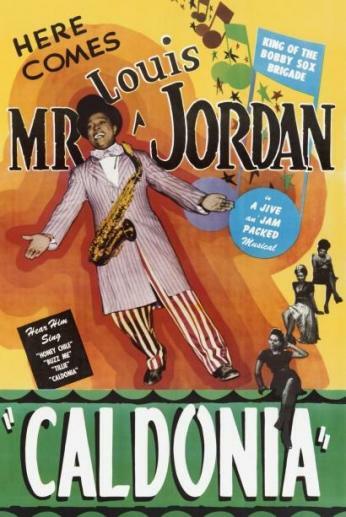 I found a couple of Louis Jordan film posters at the site, here: http://www.separatecinema.com/exhibits_jazzin.html, and on another page. 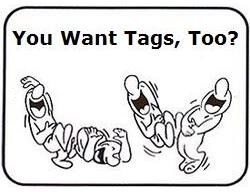 But right clicking was blocked, making copying the images difficult. Also, the images all appear to be small (h=400 pixels), much smaller than what I’m looking for. You must include the 1948 Louis Jordan record, “Run Joe”. It has the chorus chanting, “Louie, Louie, Louie, Louie, Louie” and using Jamaican dialect that were both obvious inspirations for Richard Berry’s 1957 “Louie Louie”, later made famous (or infamous) by the Kingsmen in their rock ‘n’ roll version.